Whether you like Queen or not, they're one of the most pervasive forces of nature the music industry has ever seen. Everyone knows a bunch of the best Queen songs. You might not quite remember their names, but you still vaguely recognize them as "The one about the radio," "The one with the stomps and the handclaps," or "The one they named the movie after." Even if you're a music purist who makes a point of only listening to jazz recordings made on the second Tuesday of October in 1955, chances are you still occasionally have to wrangle the bass line from "Under Pressure" out of your ear. The thing is, we all know the same famous Queen songs. This is a trailblazing, history-shaping band with 15 (mostly) amazing studio albums to their name, yet most people only know their most obvious "greatest hits" fare. Fortunately, a band with such a vast discography and adventurous creative spirit has managed to capture plenty of other good tunes on tape. Let's take a look at some of Queen's best songs that you've probably never heard. "The Fairy-Feller's Master Stroke" is Queen at their strangest, yet most captivating. The song's odd title and folksy sing-song vocals might seem odd at first, but they're actually in perfect line with the source material that inspired Freddie Mercury to write the track. The song shares its title with the masterpiece painting of artist Richard Dadd, a tortured soul who made the work for an official at Bethlem Hospital, where Dadd was sent after going insane and killing his father in 1843. The painter was transferred to another hospital before he was able to complete the intricate painting, so he switched to poetry and wrote "'Elimination of a Picture & its subject – called The Feller's Master Stroke", a long, confusing poem that attempts to explain some of the artwork's fairy imagery. According to an analysis by Pre-Raphaelite Sisterhood, Mercury was so infatuated by the complex painting and its poetic companion piece that he wrote a song about them. Many of the characters and events in the lyrics of "The Fairy-Feller's Master Stroke" come from Dadd's art, and the Queen II album even came with a fold-out poster of the painting. However, one significant piece of the Queen puzzle was always missing: The song never became a staple of their concerts, and the technically challenging piece was only played live a handful of times. Only one known live recording exists. Yes, fans of the Bohemian Rhapsody movie, it's that "I'm In Love With My Car." The song is arguably the biggest punchline in the entire movie, and turns drummer Roger Taylor into a laughingstock when the rest of the band treats his goofily-named composition as little more than a joke. However, had they included the song in the movie itself or on the movie's soundtrack, the punchline probably would have fallen flat. "I'm In Love With My Car" is actually a very good tune, to the point where Allmusic calls it a highlight of A Night at The Opera. Viewers may laugh when Mike Myers' record company executive prefers this sterling rocker as a single over the far more risky "Bohemian Rhapsody," but it becomes a lot less comedic when you actually hear the song roar and stomp ahead, driven by Taylor's gravelly lead vocal that sounds like Rod Stewart ate AC/DC cereal for breakfast. Although Freddie Mercury's "Bohemian Rhapsody" ultimately won the single battle royale and propelled the band to glory, Taylor can't complain. "I'm In Love With My Car" ended up being the B-side of the single, though as Queen: Complete Works recalls, Taylor reportedly had to lock himself in a cupboard to achieve this. The song later became a cause of some friction within the group when "Bohemian Rhapsody" became a breakaway hit, because his song's presence on the recording meant that Taylor's wacky car song earned the same massive royalties as Mercury's magnum opus did. A good song doesn't always have to be a hit song. It's hard to imagine "The March of The Black Queen" on a greatest hits collection between "Radio Ga Ga" and "Crazy Little Thing Called Love," but that doesn't make the song any less worthy. Due to its lack of mainstream exposure, this hidden gem from the Queen II album tends to fly under the radar for many casual Queen listeners, but fans who are familiar with this insanely complicated, yet catchy epoch have been known to compare it with "Bohemian Rhapsody." The more famous one doesn't always emerge as the winner in these discussions. Queen Songs describes "The March of The Black Queen" as one of the first songs in Queen's long list of progressive suites that feature many wildly different sections instead of the traditional chorus-verse structure of a traditional rock track. As such, it was one of the key tracks that made Queen's second album a cult classic and put their mighty mothership on the radar screens of many progressive rock fans. "Too Much Love Will Kill You" hails from 1995's Made in Heaven, a posthumous album for Freddie Mercury, who had died four years earlier. This might kill the song's chances of ever entering the highest halls of Queen's discography, but don't hold that against the song itself. This is a tearjerker that can stand proudly with any other ballad Queen has ever released upon the unwary world. As Exploded Queen describes, "Too Much Love Will Kill You" was originally recorded for 1989's The Miracle. However, at this point everyone had agreed on sharing all writing credits equally, and Brian May felt uncomfortable doing that with this particular song because it was very, very personal. According to Queen: Complete Works, May had a bad time during the late 1980s. His marriage dissolved, his father became ill and died, and he fell into depression. "Too Much Love Will Kill You" was a song he eventually crafted from all that pain, so handing a chunk of its rights to people who hadn't been involved with its writing was probably just too much to bear. As an unfortunate side effect, this potential all-star classic never saw the light of day until the man who sang it was gone from this world. Brian May's comparatively nondescript vocals often take the back seat to the raunchier stylings of Freddie Mercury and Roger Taylor, but that doesn't mean the guitar maestro can't handle the lead vocalist duties every once in a while. "'39" is a stellar example of such a song. Its curious mixture of foot-tapping, finger-snapping folk music and science fiction lyrics fit May's balladeer delivery like a dream, even though Mercury often took over during live performances. As Best Classic Bands notes, the song's lyrics are also pure May. The guitarist is a lifelong student of physics and mathematics, and he has an actual (not honorary) PhD in astrophysics. Though his studies were on hold so he could focus on his side gig of being a rock god, May couldn't resist applying his academic interests to the song's story where a group of space explorers return home from their one-year mission in space. However, they find to their horror that because they were traveling at light speed, decades have passed on Earth, and their families and loved ones are long dead. In a simple pop song, May manages to put in layman's terms the idea that time flows differently for people traveling at light speed travel than it does for the ones left behind. Still, that's Queen for you. They manage to surprise the listener even on their simplest tracks, and on "'39," the surprise is education. "Tie Your Mother Down" is one of the songs in the Queen catalogue that should be in the big leagues, yet it never quite seems to manage. The band performed it as the second song of their famous Live Aid concert at Wembley in 1986, but it never made it in the movie. It has also somehow dodged their famous trilogy of Greatest Hits albums. You'd almost think that it has something to do with the title, because the song itself is everything to write home about. If you can't listen to the song right away, here's something that should give you a pretty good idea of its truest essence: Joe Elliott, the singer for Def Leppard, once told Louder that he wished his band had written the song. This groovy number is simply rock music distilled to its purest form. Brian May wasn't originally sure whether he could make the song work until he realized that it's clearly about teenage anguish. The band enjoyed the end result so much they made it a mainstay of their concerts, often whipping it up to a frenetic pace during live performances. Even after Freddie Mercury passed away, its low-key legacy continued, and the Def Leppard singer finally got to belt out the song of his dreams … with Slash on the guitar, no less. "The Prophet's Song" gives us Queen at their fullest prog rock mode. It's eight minutes of the band diving head-first into fantasy, and every strange second is worth a listen. As Allmusic notes, the song is based on apocalyptic dreams Brian May had while recovering from illness, and many agree the mystical end result is a masterpiece. Mike Portnoy of Dream Theater lists it as one of his all-time favorite songs. Rolling Stone has called it the best track on A Night At The Opera, which is saying something when the album also contains time-tested classics such as "You're My Best Friend" and, oh yeah, "Bohemian Rhapsody." Speaking of the latter, "The Prophet's Song" was actually quite close to replacing it in the hearts and minds of … well, everyone. 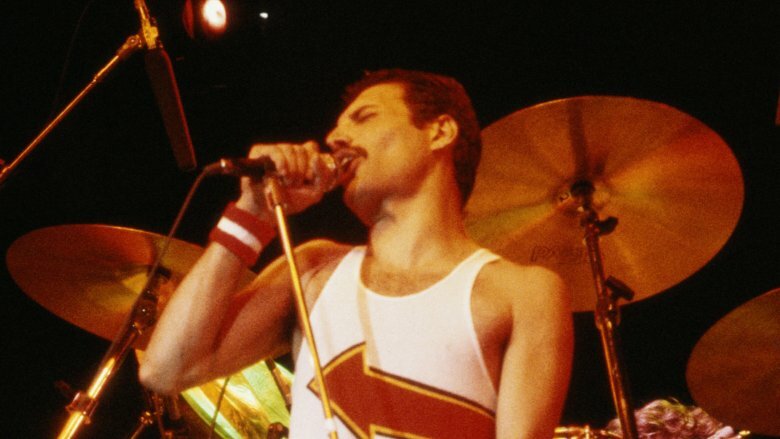 Freddie Mercury has said that at one point, the band considered "The Prophet's Song," not "Bohemian Rhapsody," for the lead single off their fourth album. While it's impossible to know how that would have gone, it's fun to imagine a world where the people who now sing "Bohemian Rhapsody" with their friends would holler May's fever dreams about a great flood instead. Then again, there's a chance that lyrics such as: "I watched as fear took the old men's gaze, hopes of the young in troubled graves" might not be as popular as "Scaramouche, Scaramouche, will you do the fandango?" Queen's bass player John Deacon didn't write a lot of songs, but pretty much all of them counted. "Spread Your Wings" is a little-known single from the News Of The World album that failed to make a massive impact on the charts but remains a hidden gem. Queen Songs describes it as a pretty straightforward rock ballad, but as the Exploded Queen blog attests, that's precisely what makes the song work. With its pianos and careful buildups it's a fairly intricate song by a regular band's standards, but for Queen, this is so simple that it's basically lo-fi. Very little of the band's usual pomp and grandeur makes its way here. Freddie Mercury sings the song alone, without backup vocals from other band members. Brian May's little guitar solo near the end is a surprisingly restrained effort that's a far cry from his signature sound. Even the video is a pretty laid-back affair by the band's standards, as they're just playing the song in a wintry yard. Queen is a good band. As this song proves, this doesn't mean that they're always a nice band. The Bohemian Rhapsody movie likes to paint the other band members as bemused spectators to Freddie Mercury's debauchery, but as Roger Taylor told the San Diego Union-Tribune, the entire group had more than their share of decadence. It's anyone's guess whether Brian May's "It's Late" addresses the difficulties of staying monogamous when faced with the endless armada of possibilities a famous band encounters on the road or if the love triangle he's describing is a more mundane one. Either way, the song manages to be both a fairly straightforward rock romp and a surprisingly candid piece about love troubles. Its melancholy, introspective verses are juxtaposed by the melodramatic punch of the chorus to great effect. The lyrics, which May has described as a "story-of-your-life song," are no less punchy. They detail the end of an extramarital affair from the cheater's point of view. First, the protagonist is with a woman, then jumps to a love affair with another woman. Finally, that love dies, and the character returns back to the humdrum life with the first woman, who is very, very suspicious about his antics. It's a story with no happy ending in sight, so May doesn't even attempt to provide one. Instead, the song ends with the cheating man's notion that it is indeed late … too late. Between their work on the Flash Gordon and Highlander soundtracks, Queen always saved some of their most gleefully ridiculous fare for the world of movies. In theory, "Princes of the Universe" is no exception. It's a big old stomping rock anthem from Highlander, a movie where grimacing, superpowered immortals attempt to decapitate each other with large swords. Queen clearly knew this was not a premise that called for a dainty little ballad or a multi-part epoch. Instead, they delivered the epitome of absurdly anthemic 1980s music, with lyrics that were pure Manowar: "Born to be free, Princes of the Universe / Fighting and free, got your world in my hand." It was almost too 1980s to exist and could have easily fallen into the special hell reserved for cheesy power rock if it wasn't for one thing: Freddie Mercury. The front man sings every line like he genuinely means it: "I am immortal, I have inside me blood of kings. I have no rival, no man can be my equal." Few others could have delivered those words without a wink and a nod, or without audiences shaking their heads at the insincerity of it all. Mercury makes you believe every single word, and squeezes the cheese into a diamond as he does so. The opening track of 1975's A Night at The Opera is officially called "Death on Two Legs (Dedicated To…)", and once it abruptly lunges at you through the spacey intro, it's immediately clear that someone's about to get an earful. "Death on Two Legs" may not be Queen's heaviest song, but as Allmusic describes, it's easily among the most intense. The track is all about spewing bile and hate at its unnamed target. With the sound of a man spitting fire at a deceitful lover through his teeth, Freddie Mercury calls his target every name in his impressive book of insults. At one point, Mercury tells the person to kiss his rear. At another, he straight up recommends suicide, which is a bit cringe-y today. It's ruthless stuff, and Mercury went to some pains to make it so. In an interview he gave to John Ingham in 1976, the vocalist described making the lyrics as vicious as possible and singing them with such coarseness that his throat was bleeding. Essentially, the process made him become "a demon for a few days," and the end result shocked his bandmates. Unsurprisingly, such calculated loathing had a real-world inspiration. Queen: Uncensored for the Record reports that "Death on Two Legs" was Mercury's less than favorable opinion of the band's former manager, Norman Sheffield, and the company he kept. They hadn't split on the best of terms — as Mercury put it, "One leaves them behind like one leaves excreta." On paper, there's not a lot to say about "The Hitman." Music researchers have never written hundreds of insightful papers about it. It's not a hit single, or even a single at all. In fact, it's just a humble album track from 1991's Innuendo. Even Rolling Stone's lengthy tribute to the album barely dedicated half a sentence to the track's existence. It's hard to imagine a deeper, more nondescript cut to the band's output than this throwaway tune from Mercury's swan song album. And then you press play. That's when you realize that Queen's discography contains gems that lie well beyond their most obvious hits. "The Hitman" is a catchy, straightforward stomper that marks the foursome's final dip in their hardest-rocking roots. The band crushes the song at such an intensity that it wouldn't be out of place on many heavy metal albums, yet it still grooves like only Queen can. It's not hard to imagine bands out there that would kill to have a song like this on their catalog. There are probably bands out there that would be thrilled if this was the best song they ever turned out. Queen, on the other hand, was content to stick it to a "halfway through the B-side" album slot and go about their merry way … because by this point in their career they had so many great songs that they could squirrel this tune away.